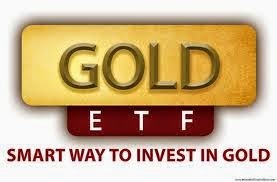 Gold exchange-traded funds (ETFs) have further lost favour among Indian investors. With the price of underlying precious metal underperforming other asset classes, Indian mutual fund investors have taken money off these products. In January, gold ETFs witnessed gross sales (inflows) of only Rs 1 crore, while redemptions (outflows) were to the tune of Rs 132 crore. The assets under management of gold funds have come off by about 20 per cent in the past year alone. The waning investor interest is due to poor returns offered by gold schemes and regulatory restrictions on importing the precious metal. According to data by fund-tracking firm Value Research, gold funds have given negative nine per cent returns in the past year (every Rs 100 invested has become Rs 91). Equity schemes during the same period have delivered anywhere between 45 per cent and 94 per cent, on the back of a strong rally in the stock markets. "The good part is those who had been buying into gold and other physical assets for many years are now interested in buying financial assets such as equities," Milind Barve, managing director of HDFC Mutual Fund, had said recently. There has been incessant outflows from gold ETFs. Thus far in the current financial year (FY15), net outflows have been about Rs 1,300 crore. During the same period in the previous year, outflows were to the tune of Rs 1,967 crore. For many years, there has not been any new launch of fund in this category. Currently, the mutual fund sector has 14 gold-based schemes with a total asset size of Rs 7,245 crore. A year before, the asset size stood at close to Rs 9,000 crore.